Father’s Day is approaching fast and if you haven’t thought of the perfect gift, a trip to SkyPark might do the trick! 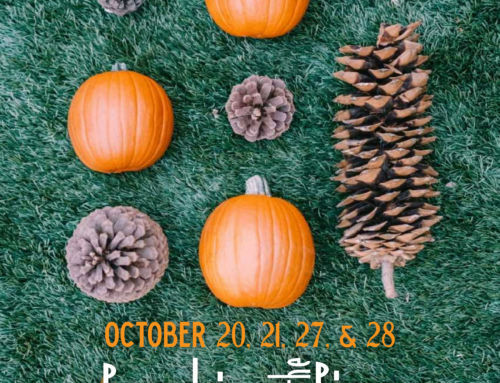 SkyPark at Santa’s Village located near Lake Arrowhead and Big Bear is a destination for guests of all ages and interests. 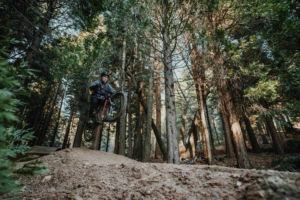 We have exhilarating mountain activities, such as mountain biking, ziplining, hiking, and more! After a day trying out our attractions, stop by our delicious restaurants and buy dad a cold beer and a nice meal. At the end of the day, all dads want for Father’s Day is to spend time with their kids. A visit to SkyPark allows you to spend a whole day of fun with dad and is a gift to yourself as well. SkyPark at Santa’s Village is always working hard to bring guests exciting new attractions that will bring together all guests. 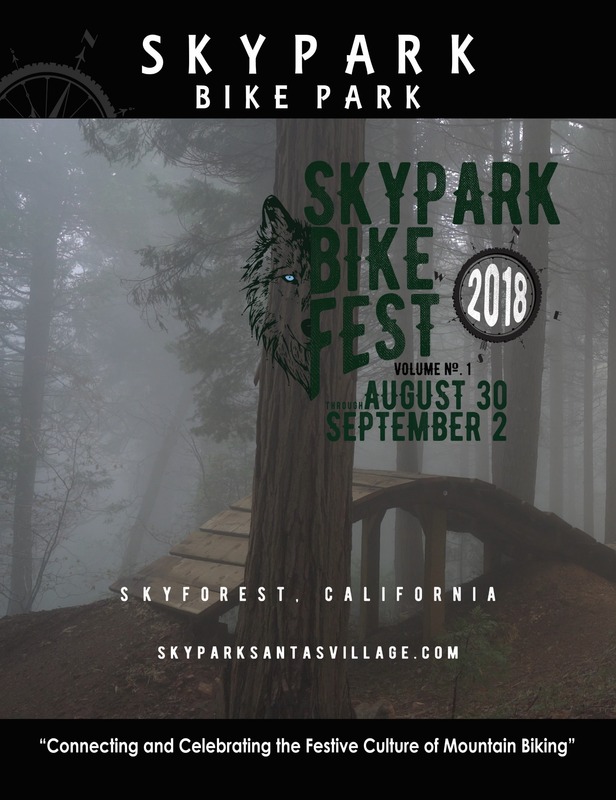 Our growing mountain bike park, SkyPark Bike Park, is our most popular attraction to date and attracts guests from all over California and even across the country. Hit the trails on Father’s Day with dad! 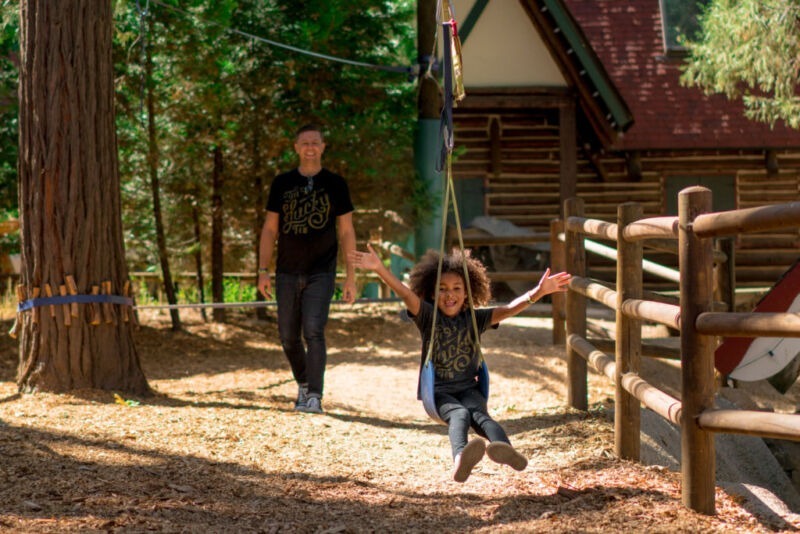 Our mountain zip line is another great family attraction to try with dad! 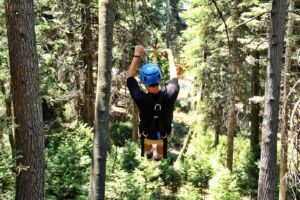 Feel the mountain air rushing through you as you soar 30 feet above the forest floor through the NorthWoods. Once you’re strapped in, walk up to the launch tower where you’ll take off and zip through 600 feet of our beautiful forest. In case dad is traveling with younger kids, there are plenty of entertaining activities for the young ones as well. 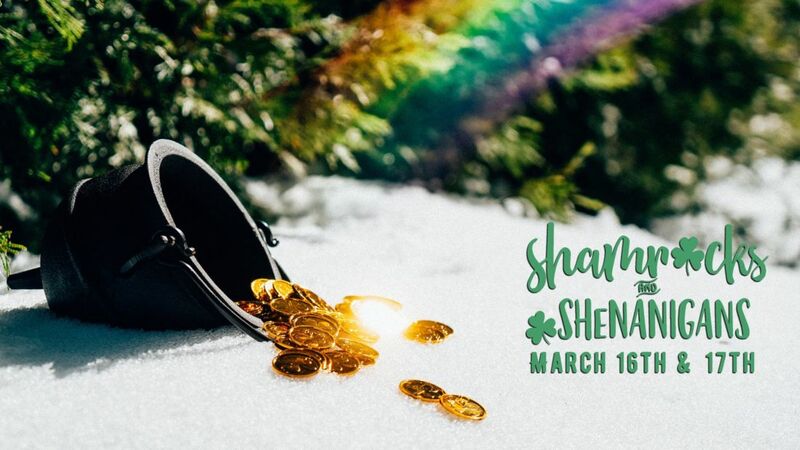 Head over to the Silver Bells Arena and rent some skates for free. Make memories on the skating rink. This is a great family activity. Every father is anxious for the day they have to teach their children how to drive. 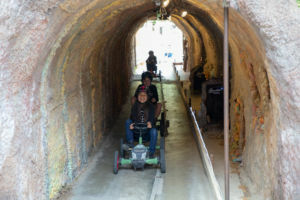 Until that day, dad can help children navigate their pedal cars through Arrow’s Adventure. Children love this ride and parents will love the look on their child’s face when they make it all the way around the course. Archery, rock climbing, and bungee jumping are among the other activities children can enjoy with dad. There are plenty of dining opportunities within SkyPark at Santa’s Village. 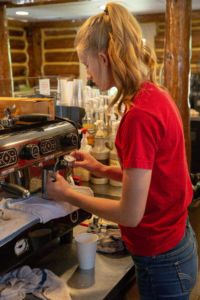 Start your morning with an energizing and tasty latte from our coffee shop, Kringle’s! Not a coffee person? Check out their daily creation of iced tea or lemonade. Take a lunch break and head over to St. Nick’s for a delicious burger or club sandwich. If you want to treat dad to a heartier meal, visit Gatherings for BBQ! We recommend the tri-tip, but know that every menu item comes with a side salad and loaded baked potato. 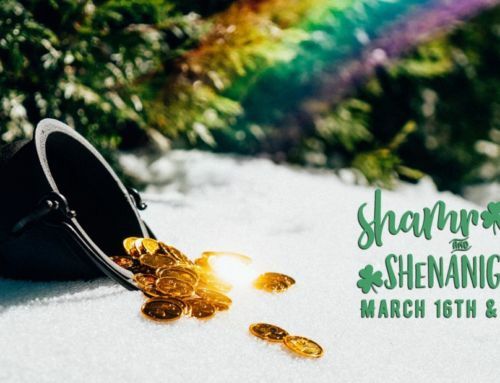 Close out the night with a visit to the Pedal Pub, where you’ll find drinks crafted to your taste, local wines, and special beers from your favorite breweries you might not find anywhere else. 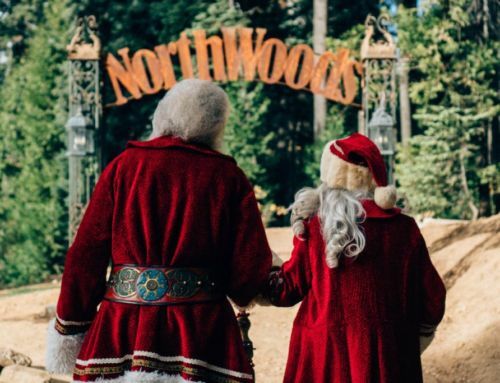 SkyPark at Santa’s Village is an adventure park between Lake Arrowhead and Big Bear dedicated to making spirits bright. The Park is filled with people-powered attractions that get guests moving. 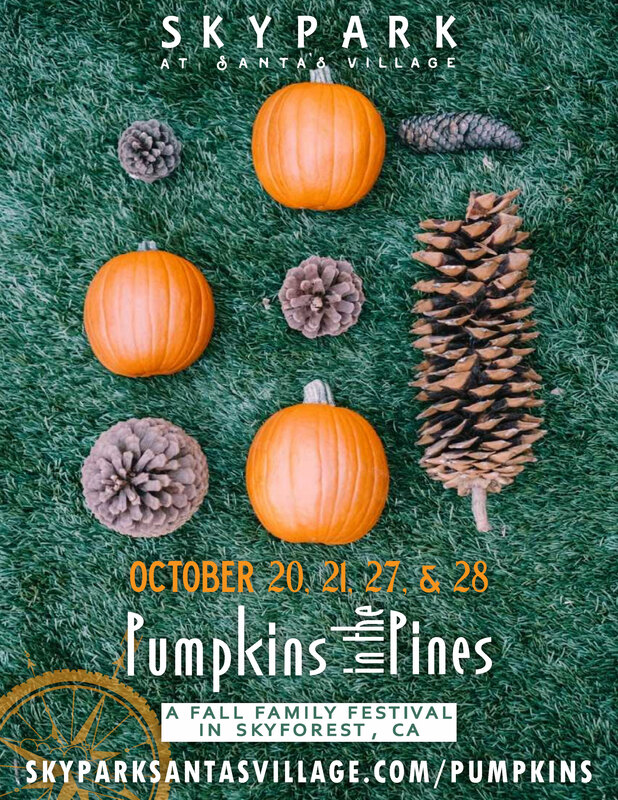 During the year, you can find attractions and entertainment suited to each season. 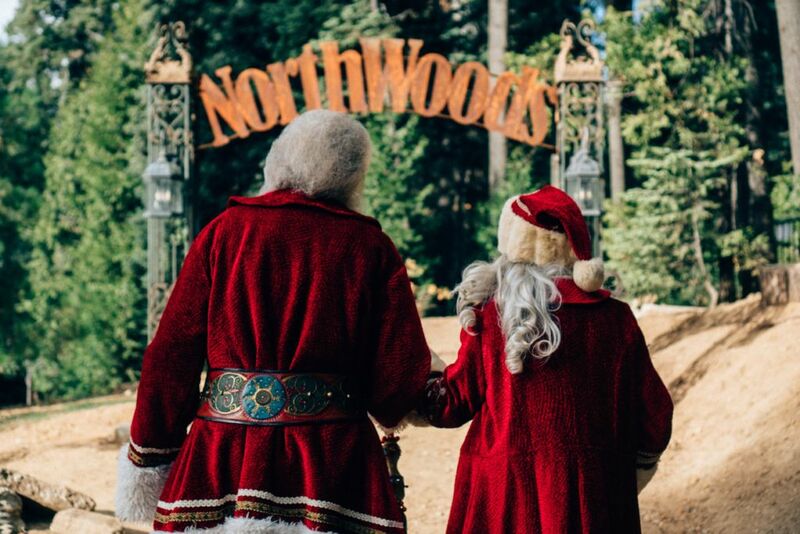 In November and December, visit us for a memorable Christmas experience with Santa and the Northwoods Characters. 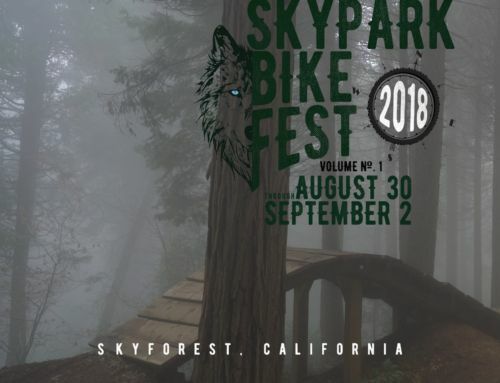 SkyPark Bike Park, our renowned bike park, offers trails for guests of all skill levels.